Anita Bhagwandas is a multi-award-winning freelance journalist based in London. She has made her name creating thought-provoking, culturally relevant and agenda-setting journalism and has spent the last decade climbing the ranks of the biggest and best fashion and lifestyle titles in the UK – she was Senior Beauty Editor at Marie Claire, and also worked at Women’s Health and Stylist. 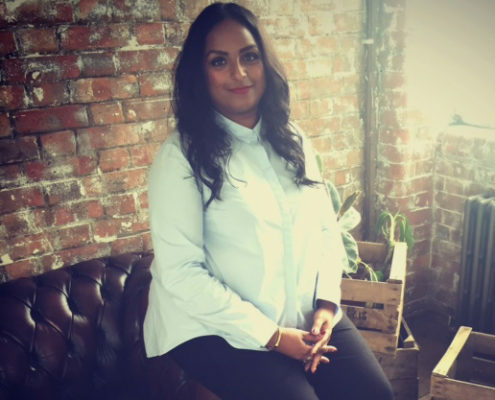 Well-known as a beauty expert, Anita also writes on popular culture and diversity features focusing on race and plus size fashion, including for The Guardian, Sunday Telegraph, The Pool, Red, NME and Kerrang!. She works with trend forecasting agency The Future Laboratory and has been a commentator on Woman’s Hour, BBC’s Asian Network and ITV’s This Morning as a beauty expert.